Gorilla Promo Goods UNIVERSAL - Dezod Motorsports Inc - Home of the automotive performance enthusiast since 2002. Gorilla has long been a leader in packaging and merchandising of wheel accessory products. 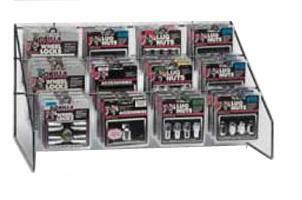 Gorilla offers powerful point-of-purchase racks, header cards and in-store merchandisers to show your Gorilla support.